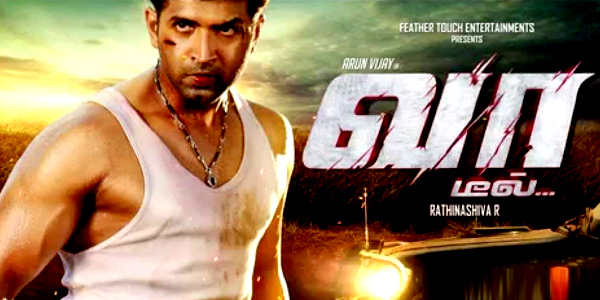 'Vaa Deal' is an upcoming action film which features Arun Vijay and Karthika Nair in the lead roles. Rathina Shiva has written the film and has wielded the megaphone for the project. Apart from Arun Vijay in the lead role, the film also has an ensemble cast of Vamsi Krishna, Karthika, Kalyan, Suja Varunee, Sathish, Jayaprakash, Renuka and Sri Kala as well. S.Thaman has composed the music score for this film the second time for Arun Vijay after the actor's successful outing in 'Thadaiyara Thakka'. . Gopi Jagadeeshwaran has cranked the camera with Praveen K.L handling the editing for 'Vaa Deal'. 'Vaa Deal' is being bankrolled by Feather Touch Entertainment. Stay tuned to this page for the latest release updates of 'Vaa Deal'.